So I finally decided to dig into my steering and figure out what the clunk was. 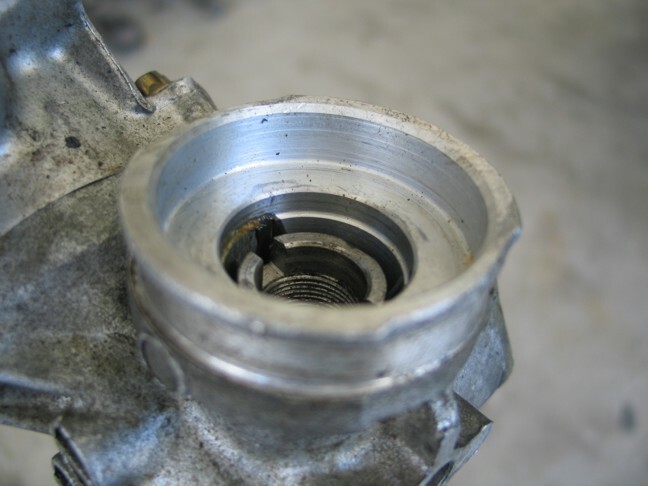 I found out my pass side bushing was more or less dead. And while I did that I also decided to do the steering rack angle modification….. I decided to install the s14 tie rods because they are slightly bigger and they have newer boots and tie rod ends. 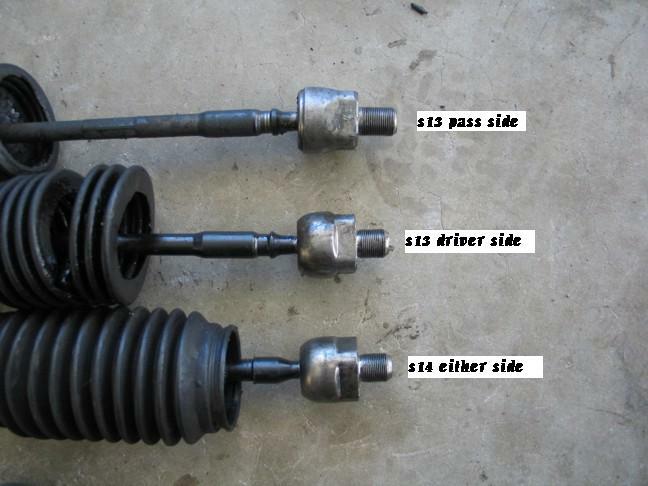 Heres what I found out while taking 3 different steering rack apart (s13 HICAS, s13 regular, s14). 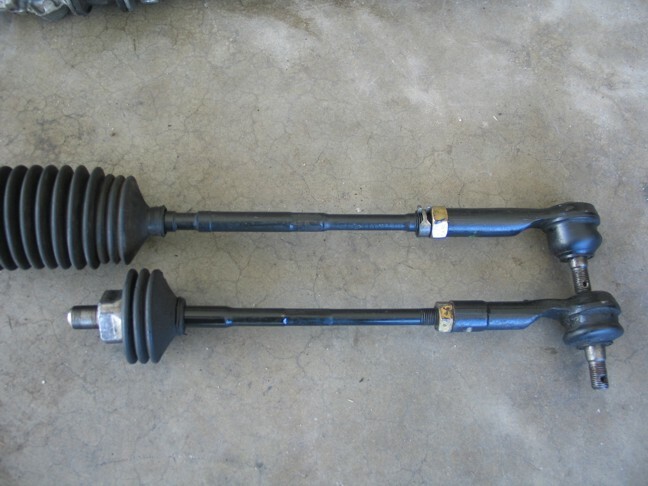 The only difference between them is in ratio (HICAS rack is smaller) and the tie rods (s14 are bigger). The washers will fit inside the rack and effectively push out the tie rod to give you a little more range. Here are pics of the ranges of the rack. This is where the rack stops normally. The end of the tie rod hits the big flat surface which doesn’t allow the rack to move any further. If you notice the second pic the rack will actually go in a little more. So how do I modify it so I can get more angle? 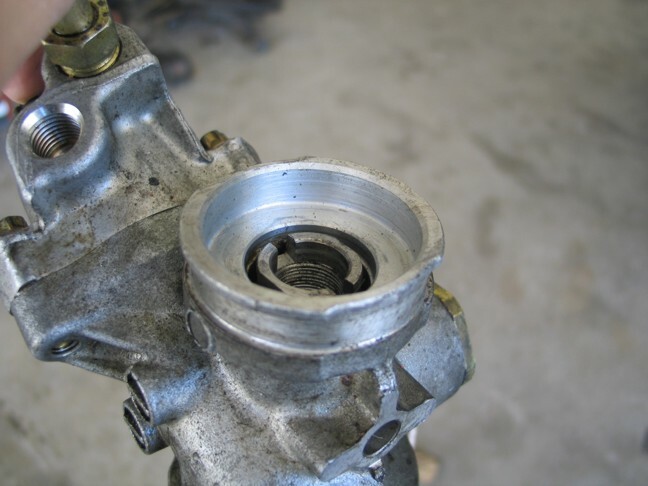 Simple – Get some spacers. But first lets take a look at the tie rods of the different steering racks. You can see that the s14 one is slightly bigger(top). Not by much though. The threads on the ends are bigger as well. This was news to me. I found out that the threads on the s13 pass side (doesn’t depend on rack) are actually longer than the s14 or the s13 driver side. This is a good thing because the more thread engagement you have the better. And luckily I had 2 racks so I had 2 of the longer ones I could use, but sadly my tie rod ends were smashed so I ended up using s14 tie rods. Eventually I will just get some Kazama ends and put them on the stock s13 tie rods. All I ended up doing is using 8 M7 washers per side and stuffing them into the hole where the tie rod threads into. Sadly I had to use the s14 tie rods and this doesn’t allow for much thread engagement. So be careful doing this and do it at your own risk. This is the gap you get when you are done. I could have done more but that would have left even less thread engagement and been even more unsafe. When I switch to s13 ones I will add more space. 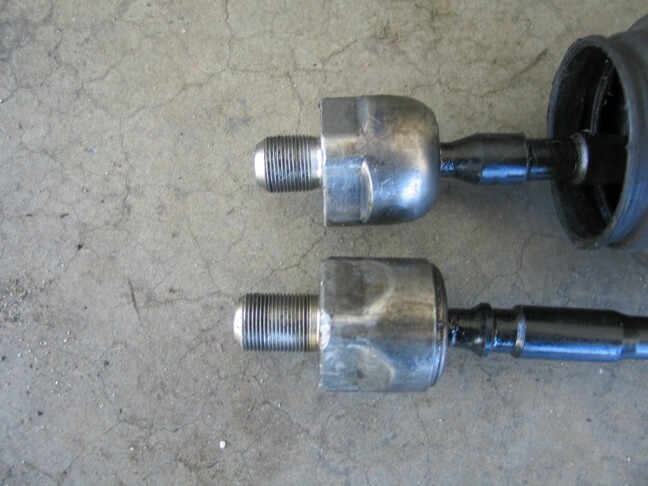 Also be sure to take measurements from the end of the tie rod to the center of the ball joint on the ends. When you do the gap you will have to re-adjust for the gap you just made. 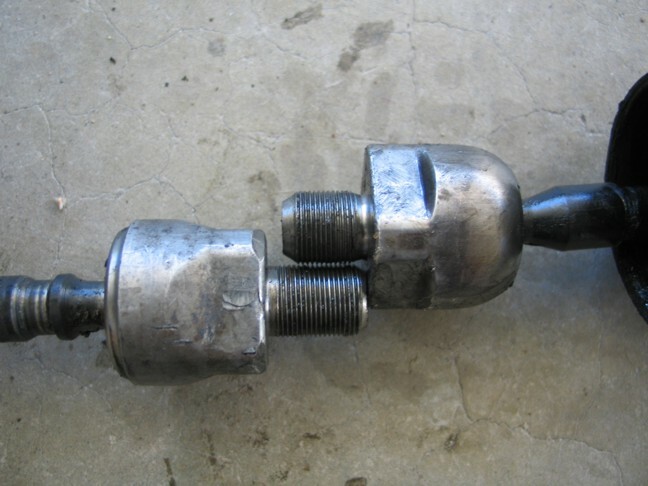 Measure from the end of the steering rack(where the tie rod threads into) to the ball joint at the ends. 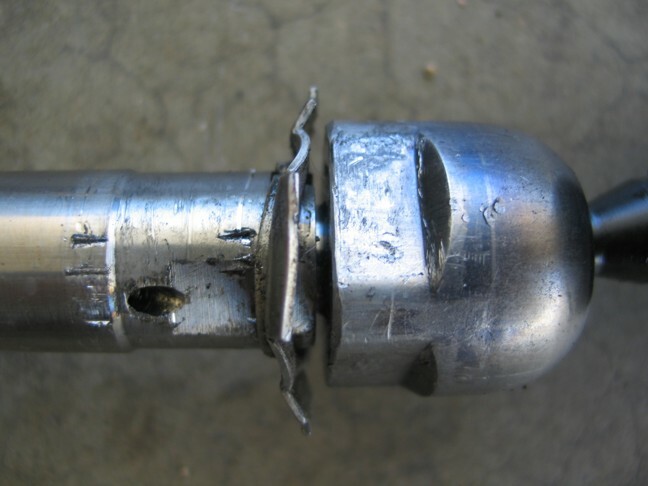 Remember to use thread locker compound on the threads of the tie rods. If not, there’s a bigger increase in chance for critical failure.